On my last day in Búzios an Argentinean backpacker told me that I was an hours drive from some of the most beautiful beaches in the world. I thought I’d already found paradise in the seaside town of Búzios, so this kind of claim could only mean one thing. These beaches were going to be off the hook ridiculous. 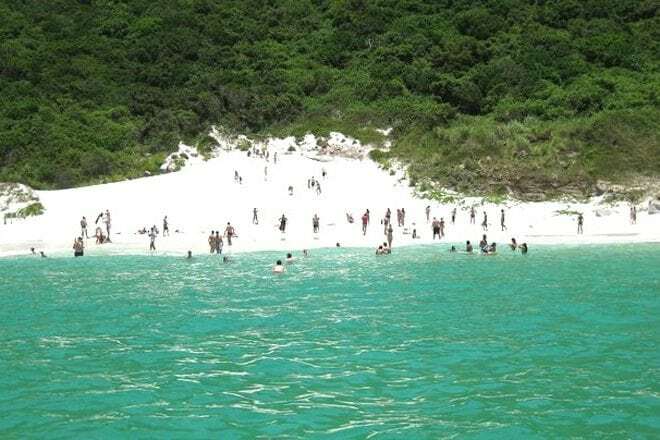 Arraial do Cabo was everything my new friend said it would be and more. Located just outside the city Rio De Janeiro, Brazil – this tiny fishing village is home to some of the most spectacular beaches I’ve ever seen. The locals are descendants of European pirates and slave traders that settled in the town long ago, giving the area a rich history. 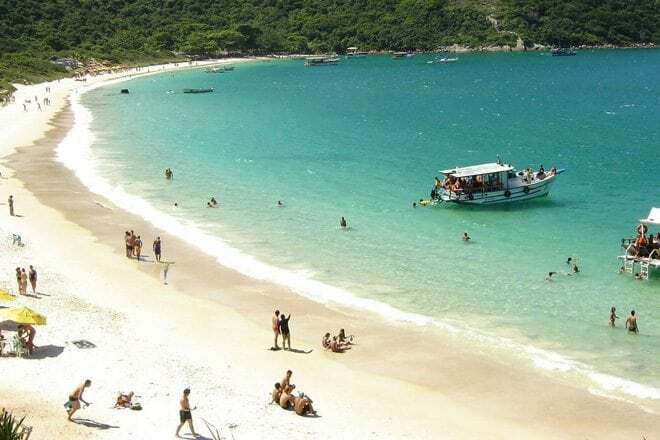 Like Búzios, Arraial do Cabo is set on a peninsular and surrounded by pockets of sandy coastline. But if you want to see the good stuff, you’re going to need a boat. Head down to the pier and you’ll find a bunch of tour boat operators giving tourists a sales pitch on why their boat is the best. Some of them are flashy with a DJ, barbeque and unlimited caipirinhas on board. 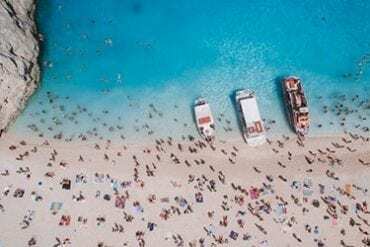 Others are strictly no fuss with BYO beer and translator, but a floating bar in the ocean makes sure no one goes thirsty. Arraial do Cabo also has a reputation for not just its marine life, but for some of the best diving in Brazil. Sunken pirate ships scatter the ocean floor; reminding us that this tropical paradise wasn’t always so picturesque. We spent the day sailing from one idyllic beach to the next, diving off the boat into the crystal clear water and swimming ashore to feel the soft white sand between our toes. 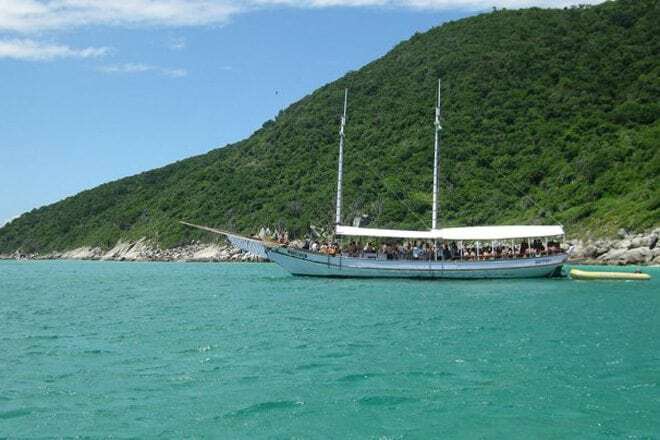 Make sure you add Arraial do Cabo to your itinerary before the pirates come back. You are too cute whenever we didcee to have a baby can you take me prego shopping???? And I agree with Acacia, you MUST wear a bikini rock that baby belly!